This is the #1 question Warner Lakes Dental gets asked by patients considering a dental crown as part of recommended treatment, or by patients who have come to us because of crown failure. The answer is that there is no one answer. It’s like new car advertisements that focus on a vehicle’s fuel efficiency. At the end they always include the phrase, “Your mileage may vary.” It is similar with dental crowns. A crown that is properly installed, with the appropriate materials, by a skilled dental professional, and subsequently given proper oral maintenance should last for many years, even decades, potentially for the lifetime of the patient. As with most things that involve human beings, there are no guarantees of perfect results, and dental crowns are no different. To help you understand the lifespan of crowns, Warner Lakes Dental is happy to offer the following information and advice. As you can see, there are multiple factors at play in determining the lifespan of dental crowns. Most insurance companies cover crown replacement if failure occurs after 5 to 8 years. Many dentists ‘guesstimate’ that a crown should last from 5 to 15 years. 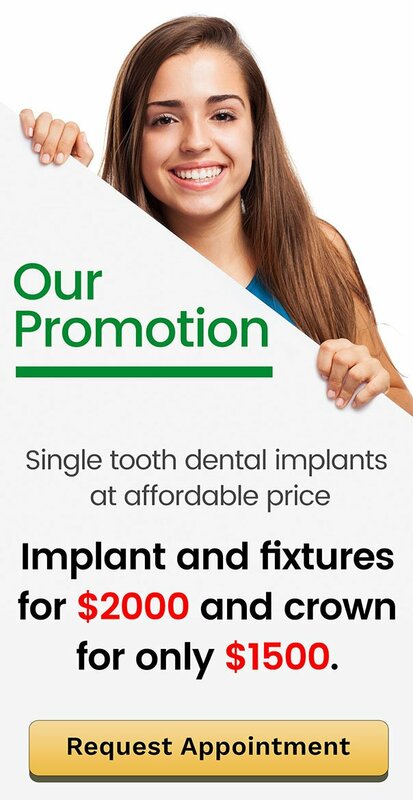 This estimate is realistic and does not mislead patients into thinking that their crowns are indestructible. One study tracked the success rate of 2,340 crowns. 10 years after placement, the success rate was 97% (2270 crowns that lasted over a decade). At 25 years, the success rate was 85% (Walton, 2013). This demonstrates that with proper crown material and manufacturing, and expert installation, the chances for long-term success are very high. There is, however, 3% failure at 10 years, and 15% at 25 years. That should remind patients that long-term success is not a given and that proper care of dental crowns is needed. Proper Diagnosis: Dental crowns are not always the best solution to your dental issues. Warner Lakes Dental only recommends them in cases they represent the best long-term solution that offers the best chance for successful treatment. 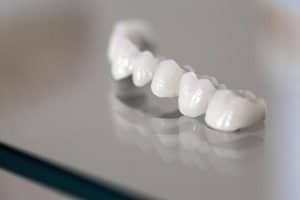 Proper Materials: Depending on the location of the tooth or teeth to be treated, and the aesthetic desires and bite characteristics of the patient, we will recommend the most suitable material and construction of the crown. We often recommend zirconia for its extreme durability, but sometimes it will not be the right choice. We discuss your needs and desires before deciding which materials will be best for your unique situation. Expert Installation: Warner Lakes Dental has a long history of successful crown installation and we are aware of all of the factors involved in a successful procedure. We ensure that the tooth surface is well prepared and that the crown is high-quality before placing the crown. We also use only the finest cements available. At Warner Lakes Dental, we strive to provide a virtually pain free experience, no matter what treatment is being performed. Home Care: We are happy to remind you of how to achieve the highest level of oral hygiene for your dental crown (and all of your teeth). Proper home is one of the critical elements in the long-term survival of your crown. At Warner Lakes Dental your oral health is important to us. We provide gentle, specialist care for conditions ranging from tooth replacement such as dental crowns to simple cleaning and polishing. For high-quality dental crowns and bridges and excellent work on restorative dental treatments, consult us here at Warner Lakes Dental. At Warner Lakes Dental, our goal is to make quality dental care affordable. We encourage you to take advantage of our latest offers. To find out more, visit our special offers page or contact us today!